Using regular and repetitive methods to expose children to a language is a great way to teach them the language and music is a great way to do that! 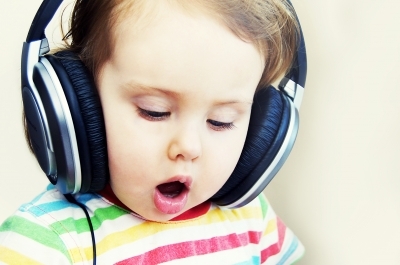 A child’s ear naturally atunes to the melody and words without realising it. “The neurological links between language and music are vast but the basic thing to remember is that music activates more parts of the brain than language does, on both the right and left sides of the brain. So if you remember something to a tune, you are more likely to recall the information than if you just read it or heard it spoken.